billionaire owner of Uniqlo Uniqlo, short for Unique Clothing Warehouse, is a chain of clothing stores that sells cheap but fashionable clothes and is somewhat similar to international “fast fashion” brands like The Gap, Sweden’s H&M, and Spain’s Zara chains. Regarded as the moving force behind the “cheap chic” movement in Japan, Uniqlo has been immensely successful, racked up huge profits and revolutionized Japanese fashion. Many young people buy cheap sweaters and shirts at Uniqlo and match them with expensive accessories such as Hermes scarves and Gucci leatherware. The first Uniqlo opened in Hiroshima in 1985. At first the store had difficulty drawing attention because it clothes were regarded as too cheap, The chain took off when a Uniqlo store opened up in the hear of trendy Harajuku in Tokyo. Shoppers and reporters swamped the grand opening and suddenly it was fashionable. The store chain really got going in the 1990s as Japan entered its long period of stagnation. The company saves money by buying clothes directly from suppliers and is able to get picky Japanese consumers to overlook the fact that 90 percent of the clothes were made in China. These days Uniqlo generates interest with trendy print and television ads, some designed by the same advertising company that launched the Nike "Just Do It" ads. Its make huge profits by keeping it costs down and attracting lots of customers. Uniqlo did well during the economic crisis in 2008 and 2009, posting increases in sales and profits by attracting thrifty consumers with its cheap but relatively high quality products. In the business year that ended in August 2009 Fast Retail had sales of $6.82 billion and a profit of $1.08 billion. Uniqlo has set the goal of increasing sales 1.7 fold to ¥1 trillion in two years by 2011. In 2009, Uniqlo said it aimed to boost sales seven-fold to $20 billion by 2020. Sales in 2010 was around $10 billion and profits and stock prices were down by around a third. Tadashi Yamai---the president of Fast Retailing, the owner of the Uniqlo clothes store chain---was at the top of Forbes ranking of Japan’s richest people in 2009, with a net worth of $6.1 billion. He was in sixth place the year before. 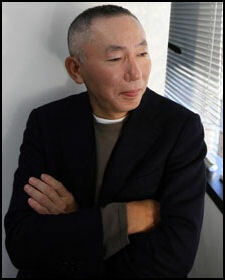 Robust sales at Uniqlo during the economic crisis in 2008 and 2009 increased his worth by $1.4 billion over 2008 while the net worth of most other super rich people in Japan fell during the same period. Today, Yanai is worth around $9 billion. He is paid a salary of about $3 million a year. Yanai, according to the Economist, is regarded as a brilliant strategist with keen fashion sense but he has also been accused of micro managing and meddling. He makes most of the decisions himself even about colors and individual items. His domineering style has caused some talented executives to leave the company. In any case he plans to down step as boss (but not chairman) when he turns 65 in 2014 and promised not to hand the reigns over to his sons. Uniqlo has stores in Britain, Japan, South Korea, China, France and the United States. It opened its first store in Paris in 2007 and opened a global flagship store, with a 20-meter-wide entrance and clothes in cylindrical showcases on Oxford Street in London. It opened a global flagship store in Soho in New York City and its largest shop in Asia in Shanghai in 2006. It opened flagship stores in Shanghai and Paris in 2009 and entered the Russian market in 2010 and has plans for the Indian market in 2011. Uniqlo has plans to open 500 stores a year for three to five years, with many of the new shops in Asia, particularly China, which had 5 stores as of 2010. Even though sales outside of Japan only made up 10 percent of sales in 2010 the company hopes to have foreign sales surpass domestic sales by 2015. It is not clear if Uniqlo will be able to succeed abroad. Strategies that worked in Japan such opening many shops in the suburb have not worked as well abroad. Overseas it is opening up more high profile stores and trying to tailor its goods for local markets. Uniqlo opened flagship stores in Shanghai and Paris in 2009 and entered the Russian market on 2010. In New York, Uniqlo paid $300 million for the 15 year lease for space on Fifth Avenue, the world’s most expensive shopping area, setting, some said, the city’s retail record. Compared to rivals like America’s Gap, Sweden’s H&M and Spain’s Zara, Uniqlo keeps its clothes on the shelves longer and sells fewer items, which allows it to work out larger-volume deals with suppliers and sell its stuff at cheaper prices. It get around its limited choice of items by offering them in a wide variety of colors. Some stores sell the same socks in 50 different hues. In July 2010, Fast Retailing announced a tie up with Grameen Bank, which pioneered micro-loans to poor people. Despite aggressive efforts to expand abroad Japan still accounts for 80 percent the company’s global sales.